New Halloween Patterns (With COUPON!) 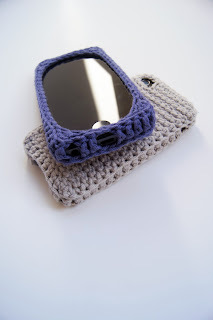 + iPhone Cases! For Halloween, I made and posted a couple patterns for some Halloween themed hats that I made last year in the Etsy and Ravelry stores! Check out the Bat and Frankenstein's Monster Earflap Hat Patterns today! And if you hurry to buy these before Halloween, and use the code "MONSTER" on any of the patterns for sale in my Etsy store, you'll 15% off!! 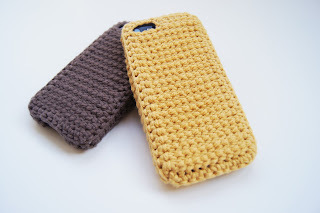 Keep your iPhone safe and customized with a hand crocheted iPhone case! 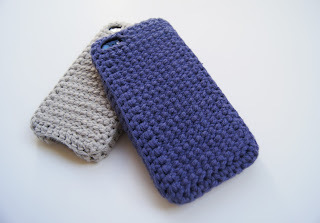 Handmade in a silky soft, yet strong and durable cotton / acrylic blend, these iPhone cases come in either iPhone 4 or 5 sizes. They're made with openings for charging, headphones, and switching on and off vibrate so you never have to take it off! 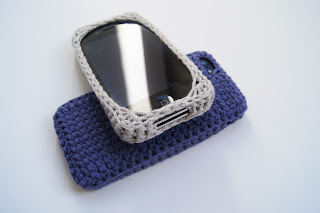 Speaking of which, the cases slip on easily and stay very secure while still keeping both the front and back cameras, mics, and flash open for the perfect photos!